Current United Auto Workers President Gary Jones wrote a new column for the Detroit Free Press, which published this Sunday. His message was clear to union members and GM: the UAW plans to fight to ensure the automaker invests in the United States. Aside from the battle cries for U.S investment, work to save the four affected plants GM intends to shut down, and calls for GM to focus SUV and crossover production at home, Jones failed to mention a sliver of the corruption turmoil that has swallowed the union in the past few years. Indeed, federal investigations have probed the UAW and top GM-UAW officials for inappropriate use of training center funds. Last year, allegations landed on former UAW President Dennis Williams, who allegedly gave the green light to fund lavish expenses with training center funds. The FBI expanded its probe to include GM heads back in 2017. The UAW, obviously, wants to keep the issue locked down as it prepares to go to war over the next GM-UAW labor contract, which expires this September. 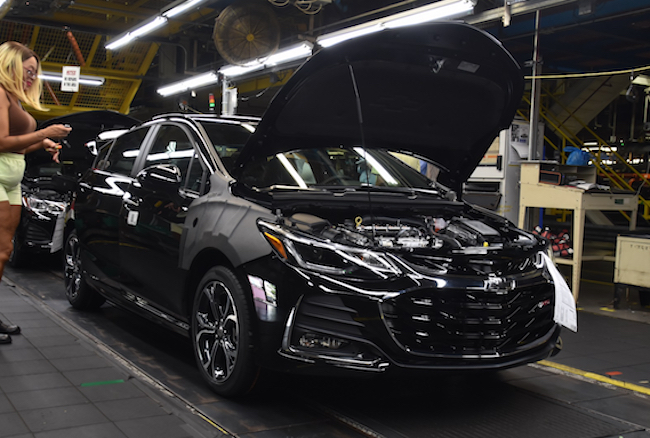 He also alluded that not every UAW member will be able to take a transfer job away from their current plant, which GM has been keen to show to the public. Not to mention, Jones says the plant closures will still leave a hole in local economies. We’ve already begun to see the effects surrounding the impending closure of the Lordstown plant in Ohio. GM is trying to shed itself of the expensive Union plants and move more production offshore. Even as it accomplishes this, we are still left with GM’s mediocrity in design and engineering. We get the same mediocre products, now just with higher profits for shareholders and higher bonuses for Barra, Reuss, Amman, et al. The 15,000 American jobs lost are just collateral damage. the unions still will not admit they are the reason GM builds cars outside of the USA. the work rules like the job bank drove GM out of the USA and the union knew it was a problem as they no longer demand it in the contracts but it is too late. the unions today want to be a player in national politics and they need the dues money to do this. I am a GM enthusiast and bought a GM product but it’s quite evident GM does not care about its employees or its consumers. I live in the rust belt. Within 10 years GM pickups and vans have frame rail perforation. Within 7 years gm pickups need rocker panels and rear wheel well rust repair. They do nothing to honor this. GMs frame warranty is teenagers, cans of black paint and Chinese made common paint brushes. Meanwhile the competition wins loyalty with replacing frames and relevant parts required to do a frame swap. I don’t like Toyota products but they rather replace the frame than loose the customer. In the early 1980s Tonawanda Engine reps would visit failed 454 engines across the country to diagnose. This was their last stand of quality. By the end of the 80s your engine blew in your then 30,000$ Cadillac you were offered 1000$ toward your purchase of a new one. Today your lucky if GM even takes your car in. Trust me I know. GM needs to step up they have a great legacy but it’s growing old outside of LS engines and they need to do something to change it other than blame Toyota and the UAW. 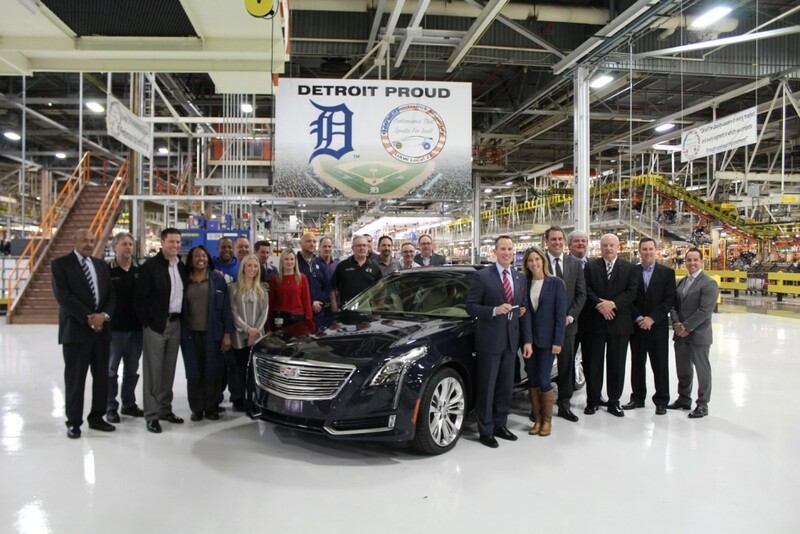 Bring GM vehicle production back to the U.S. The stupidist move made was leaving the U.S. and now Canada too! Cheap labor does not help America! Why would a U.S. company work with China, a Communist country. That used to be treason! Grrr! We looked at Traverse, the new Blazer, the Envision but NOT one is U.S. so we’ll walk from now on! Sheesh. If you looked at the Traverse you didn’t look very close. Assembled at Delta Township, outside Lansing, Michigan. Still part of the U.S. last time I checked.